From 5 to 9 March on stand D65 (hall 17) at the traditional EuroShop trade fair, the compressor specialist BITZER is showing its innovative ECOLINE+ reciprocating compressors. The ECOLINE+ reciprocating compressor series for transcritical CO2 applications is a milestone in the use of the environmentally friendly refrigerant which has been especially designed for supermarket applications. For the first time ever, BITZER is now presenting an ECOLINE+ 4-cylinder reciprocating compressor, which – like the rest of the series – offers optimal efficiency both for full- and part-load and at the same time is very easy to integrate into refrigeration systems. BITZER has improved the entire series in three ways. The ECOLINE+ reciprocating compressors are now equipped with new line start permanent magnet motors (LSPM), an enhanced motor technology which forges ahead into better efficiency ranges. Mechanical capacity control for transcritical CO2 applications is also new. This enables systems which are just as efficient for full- and part-load as is otherwise only possible today when using frequency inverters. So that users can fully exploit the potential of this technology, BITZER has also developed a new operating concept with intelligent (IQ) modules. One of the most important innovations in the ECOLINE+ series is the enhanced line start permanent magnet motor, which increases annual performance figures by more than 10 per cent. These motors can be directly connected to 50 or 60 Hz electrical supplies and, whether for full- and part-load, they offer a completely new level of efficiency. Apart from that, permanent magnet motors are extremely robust and easy to use. 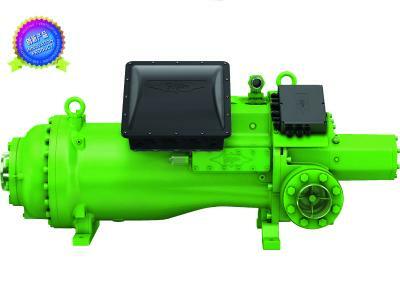 Over the past five years, BITZER has intensively and successfully tested this technology and has used them in selected systems in the field. Since October 2016 LSPM units have been used in production for CO2 applications. Users can operate these motors both directly on the mains network and with frequency inverters for the familiar speed range. There is now an alternative to operation with frequency inverters. BITZER has designed a new CRII mechanical capacity control for transcritical CO2 applications, which permits the operation of ECOLINE+ reciprocating compressors with a cooling capacity of between 10 and 100 per cent almost continuously. 4-cylinder compressors are controlled by one or two capacity control pistons, working in a similar way to the familiar capacity control for the HFC refrigeration compressors. With the intelligent operating and protection concept for the optional IQ module CM-RC-01, BITZER is ensuring optimum efficiency from the new CRII capacity control system as well as the supply of oil and the crankcase heater. 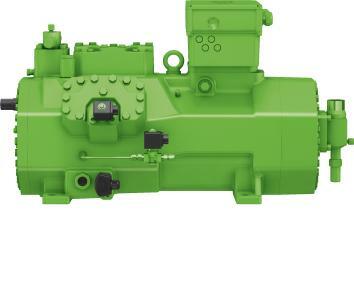 The mechanical capacity control system’s full potential can be exploited thanks to the integrated BITZER CR algorithm. The IQ module means that the new ECOLINE+ reciprocating compressors can be easily, quickly and cost-effectively integrated into a variety of system configurations. Apart from that, the IQ module improves the protective measures as well as the monitoring options for the compressors, allowing them to be used in a wider range of applications. 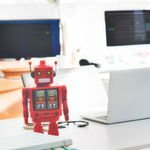 Users thus benefit from more flexibility and it is easier, for instance, to compensate for the differences between summer and winter operation. Thanks to the new CRII for transcritical CO2 applications the overall efficiency also increases as the capacity control permits a more stable and higher suction pressure. Thanks to the intuitive BITZER Electronics Service Tool (BEST) as well as the sensors and actuators, which are factory-wired and preconfigured, the compressors are also very easy to install, configure and service. The BITZER Group is the world’s largest independent manufacturer of refrigeration compressors with sales companies and production sites for reciprocating, screw, and scroll compressors as well as heat exchangers and pressure vessels all over the globe. In 2015, 3,400 employees generated sales of €686 million.